KINCROME , one of Australasia's leading tool suppliers, has acquired the Finkal brand of punches and chisels, with full ownership effective from July 1, 2006. Australian production will continue for the iconic brand with greater emphasis placed on improved quality with higher grades of steel, while maintaining the competitive pricing edge. 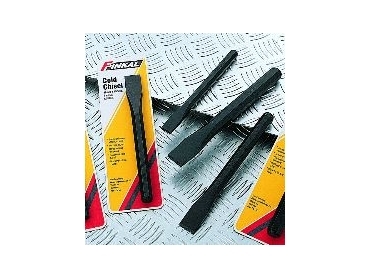 The range will receive a great deal of attention with extensions to the famous Finkal punch and chisel program with new and innovative products in the pipeline for use in automotive, industrial, hardware, and retail markets. Announcing the acquisition, Kincrome Group chairman Ron Burgoine said: "We recognised the enormous potential for the brand back in 1995 when we licensed the distribution from Finlay Engineering Pty Ltd. It was the right fit for Kincrome and we decided to give it a new presence in the market." Known as Australia's No.1 punch since the early 1950s, Finkal red wallets and the range of speciality striking products have become synonymous with tradesmen's quality throughout the automotive, industrial and hardware markets. The company will be announcing a series of new innovations in the Finkal brand in the coming months. The Finkal brand acquisition follows the recently announced Lisle Tool exclusive agency agreement.